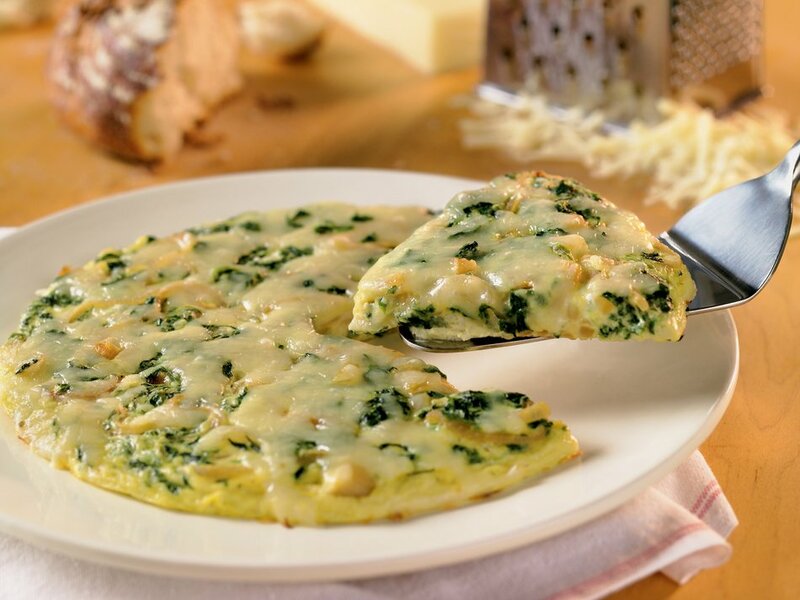 With spinach and eggs, this frittata is an excellent source of iron - a key mineral that helps keep the mind sharp and energy levels high. Many of us don't get enough iron in our diets, so choose this recipe for a simple dinner solution or special breakfast all in one! MELT butter in a large nonstick skillet over medium heat. Add onion; cover and cook 3 minutes. Uncover, season with thyme and sauté an additional 10 minutes or until golden brown. Remove from pan and let cool. WHISK together eggs, egg whites, salt, pepper and hot sauce in a large bowl. Stir in caramelized onions, spinach and half of cheese. COAT a small nonstick skillet or omelet pan with cooking spray; place over medium-high heat. Pour in egg mixture. Reduce heat to medium-low; cook 3 minutes or until bottom is lightly browned, lifting edges and tilting skillet as eggs cook to allow uncooked portion to flow underneath cooked portion. WRAP handle of pan with foil. Broil frittata 2 minutes or until top is almost set. Sprinkle with remaining cheese and broil 2 additional minutes or until cheese is melted. Tip: This simple frittata makes easy use of eggs you probably already have on hand. For those who prefer a no-yolk version, simply use 1¼ cups egg substitute in place of the eggs and egg whites. This frittata feeds my family of 4 at breakfast and it's pretty healthy too! 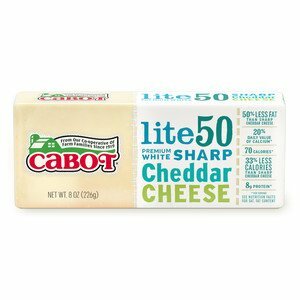 Highly recommend, love Cabot's Light Cheddars! !